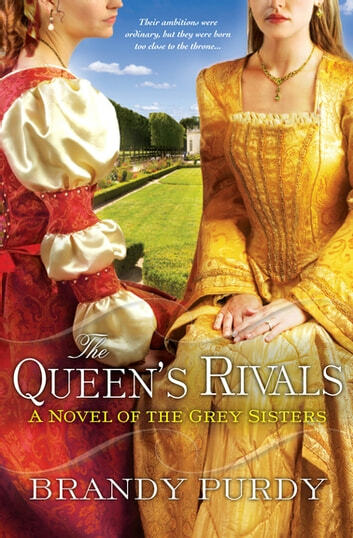 Three sisters find themselves caught in the royal intrigues of Tudor England in this historical romance from the author of The Boleyn Bride. The Ladies Jane, Katherine, and Mary Grey were born in an age when all of London lived beneath the menacing shadow of the Tower. Tyrannized by Bloody Mary and then Elizabeth I, the sisters feared that love was unthinkable—and the scaffold all but unavoidable. Raised to fear her royal blood and what it might lead men to do in her name, Mary dreads what will become of herself and her elder sisters. On their honor, they have no designs for the crown, yet are condemned to solitude, forbidden to wed without permission from the queen—a permission that would never come. And though Mary is accustomed to dwelling in the shadows and may never catch the eye of a gentleman, her beautiful and brilliant sisters long for freedoms that would surely cost their lives. Now, Mary can only trust in divine providence to provide a chance for love and happiness—unless destiny gains the upper hand . . .
A gripping and bittersweet tale of broken families and broken hearts, courage and conviction, The Queen’s Rivals recounts an astonishing chapter in the hard-won battle for the Tudor throne.